Sweet Shop Natalie: Please Toss that Bouquet! 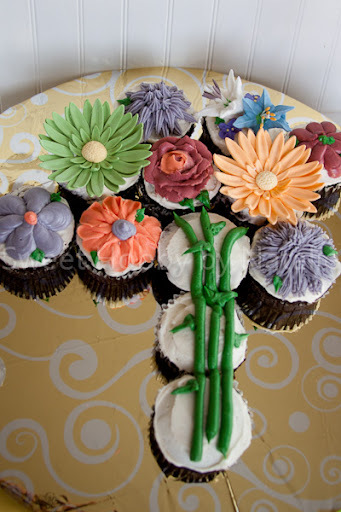 I saw a bouquet of cupcake flowers on a site some where, not exactly sure where, but I thought it would be a cute idea to give to a friend in my neighborhood whose mother just recently passed away. This friend is on a gluten/diary free diet so I searched the internet for recipes, I have made gluten free sugar cookies before and they were not too bad, the texture is not so great but from what I have heard there is not much you can do with the texture of gluten free when making cakes. So I made the cupcakes and tasted one that day and it was pretty good. Enter the problem I thought she was going to be back from out of town the next day but in fact she was out of town until Monday and I made the cupcakes on Friday. Well I guess keeping cupcakes from drying out it a little difficult. I read that refrigerating them would dry them out and so you might be able to freeze them if wrapped well so I did what I read but it was to no avail. I was mortified! I quickly sent my friend a message telling her to just throw them away. I have no idea if she did, I can only hope that she did and that she did not bite into one and then try to swallow it down or spit it out crumb by crumb. But guess what is even worse.... I think I am a decent baker and that my skills are not that bad, so I have a bad day and I decide to take my DRIED out gluten free cupcakes to my friend whose brother just happens to be the right hand chef to celebrity chef Curtis Stone. Why yes, Steven, the brother and Curtis Stone's right hand man is indeed at my friends home along with all of her siblings....... That right there my friends is why I am the defintion of stupidity!! Good thing out of this is that it has made me determined to find a gluten/diary free treat that I can make that will actually taste good so I can redeem my baker skills. P.S. the frosting was fine. 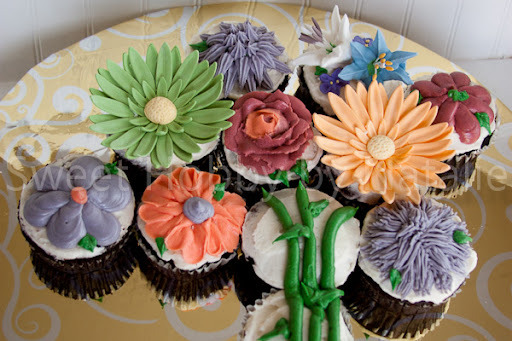 It's not to hard to make gluten/dairy free frosting you can just use margarine or shortening instead of butter. Maybe she just scraped off the frosting and ate that. I can only hope.